Recording incidents as soon as they occur is a crucial part of a proper incident investigation. Having a written record is the primary source of information about the people involved and the sources of hazards. OSHA requires companies to have a written record of any work related incidents for a minimum of 3 years. 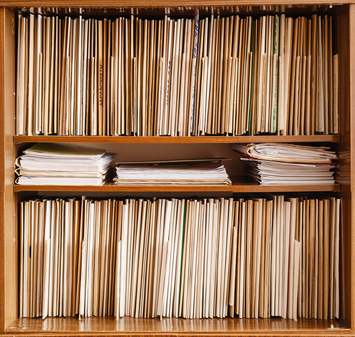 Keeping incident records provide a broad-spectrum of information about the circumstance as well as help establish a better course of action for future incident prevention. It is important to include information that is both relevant and factual to the case at hand, when the quality of the information decreases so does its credibility. The reports are most useful when they summarize the individual events; presenting the incidents by task, causative agent and industry sector. Maintaining these reports are essential for possible future investigations and looking into questions that may not have been previously answered. When writing your record incidents it is important to find out what are the crucial elements to include in your report in order to complete it. There are two main incident metrics used in incident recordkeeping that are useful in figuring out those crucial elements, William Haddon’s and Donald Rumsfeld’s. 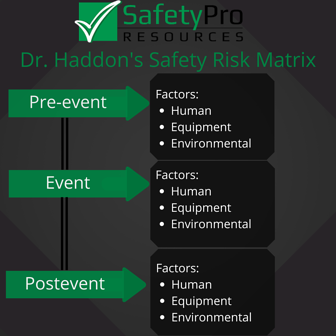 Haddon’s matrix includes human, equipment, and environmental factors at each level so as to detail the interactions and causes of the event. Rumsfeld’s matrix is based on the idea that there are things we know and things we do not know. Professionals need to visit the important information from the records and determine the best content for the final record of the incidents. Remember that all work related injuries, fatalities and illnesses must be recorded. OSHA provides detailed recordkeeping checklist you can download by clicking here or the button below. This may assist you need keeping track of what needs to be done when writing incident reports.